Two former stars of the show Mythbusters are taking their love of adventure and science to a whole new level as they embark on the new show “Thrill Factor” on the Travel Channel. 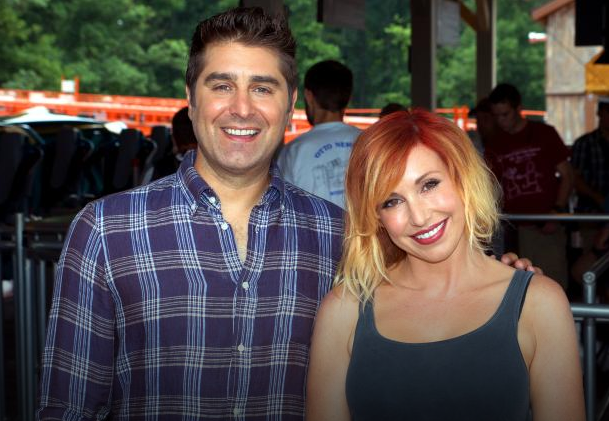 For the premiere episodes, Kari Byron and Tory Belleci, will venture to two of the biggest new thrill rides and explore the science, and the fear behind them. Are you ready to test the “Thrill Factor”? Kari Byron and Tory Belleci are best known for their work on Mythbusters, but now they are taking on science and the thrills firsthand as they explore the physics, and reaction behind the world’s biggest thrill rides. The new show, Thrill Factor, will premiere on The Travel Channel Wednesday August 12th with two back to back episodes, starting at 8 p.m. 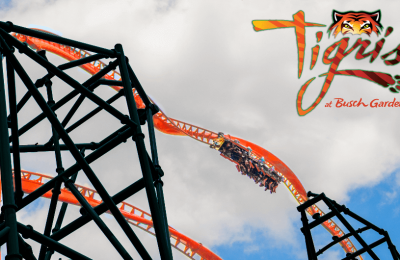 The first two parts of this ten part series will see the duo take on rides at Busch Gardens Tampa and Holiday World in Santa Claus, Indiana. What will they be tackling? In the first episode, Fear of Falling 335 Feet, Kari and Tory will brave the tallest freestanding drop tower in the world, Falcon’s Fury. The drop tower is anything but typical…once you’re up 335 feet, the seats rotate to have you facing straight down. We tackled the drop tower ourselves, and lived to tell about it…but it wasn’t easy. In the next episode, Battle of the Sexes, the two go to Holiday World and face the awesome new launch coaster, Thunderbird! 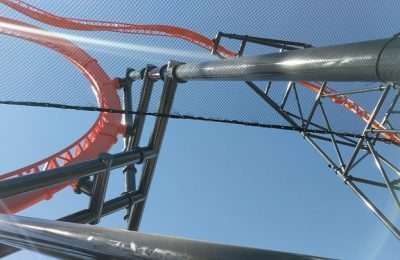 The coaster is the world’s first launched wing rider coaster, and shoots riders off and up in the first steel coaster at Holiday World. We faced this one too…these guys are behind! Future episodes will include coasters like Hades 360, and even waterslides, like Schlitterbahns massive Verruckt. 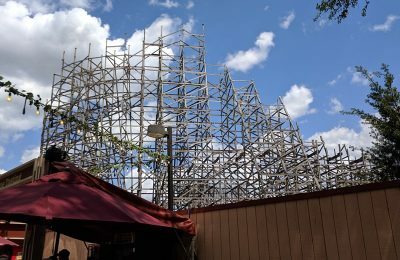 Stay tuned for more Thrills, and be sure to get social with us on Facebook, and follow along with us on Twitter @BehindThrills for the latest updates! For more information about Thrill Factor, including show listings, visit the official website by clicking here!